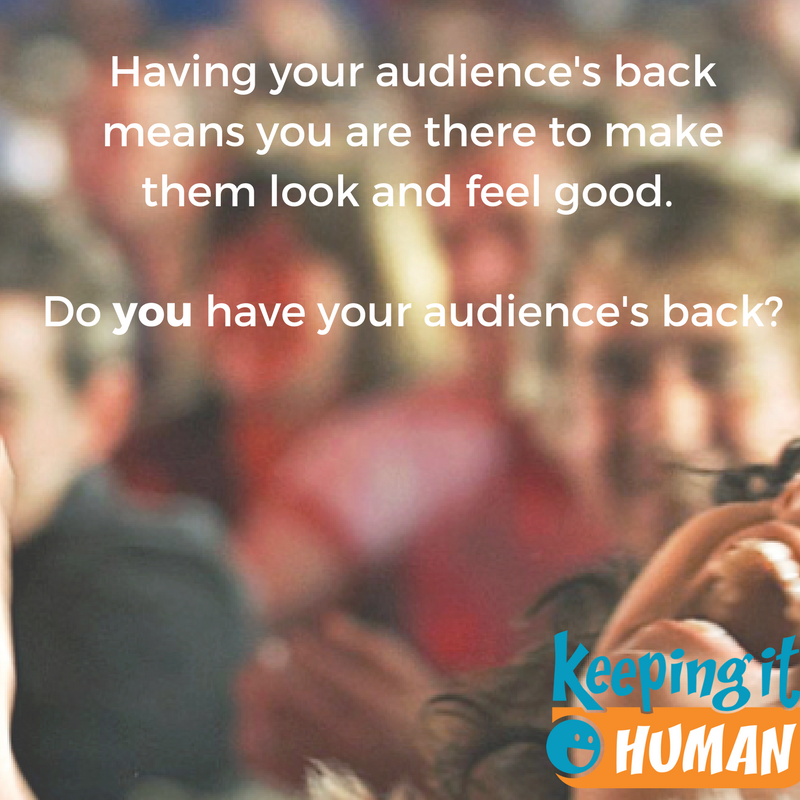 Do you have your audience’s back? When you focus on making your audience feel and look good, you stop worrying about how great you are. All that anxiety speakers face dissipates when we put the focus on serving our audience’s needs. How do you have your audience’s back? You can watch the video here.